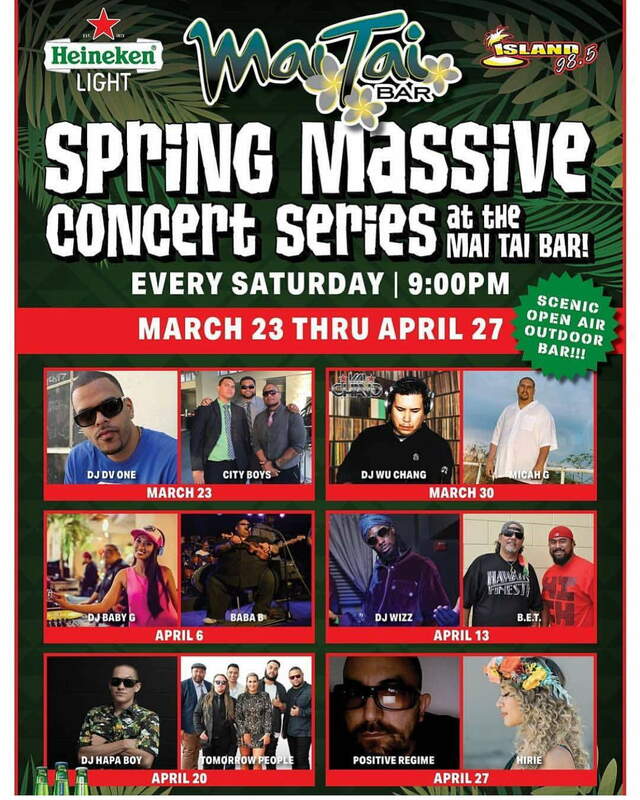 2019 "Spring Massive" Concert Series at The Mai Tai Bar! (Starting Thursday, March 23rd thru Saturday, April 27th, 2019). Learn about 808 Ala Moana Hawaii .com website and its creator.